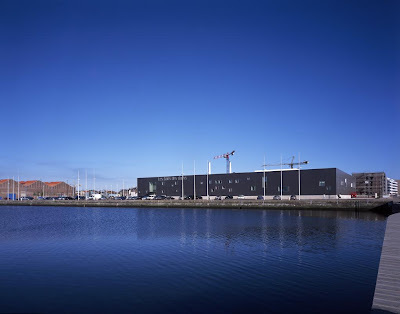 The Baths By the Docks' swimming pool & aquatic center in the city of Havre, France. MINIMAL AND CALMING WITH GEOMETRIC DESIGNS. 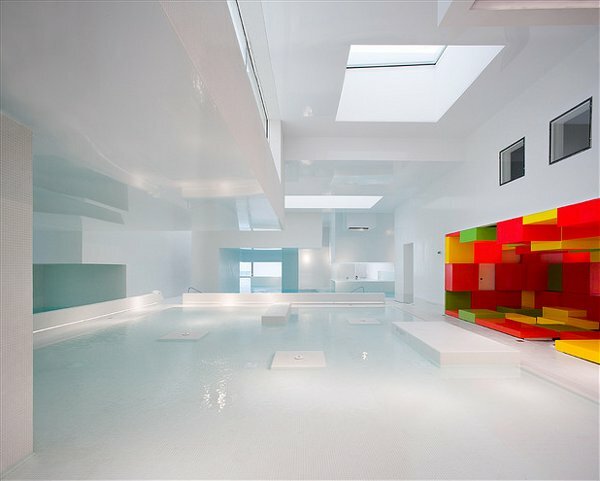 MODERN TAKE ON ROMAN THERMAL BATHS. Facilities: Indoor/outdoor facility with pools, saunas, waterfalls, kiddie pool and steam rooms.